Like an NBA GM trying to clear cap space in advance of a great free agent crop, Nokia CEO Rajeev Suri has been trying to position Nokia for its return into the smartphone business. The terms of Microsoft's 2013 purchase of Nokia Devices and Services prevented the company from re-entering the intelligent handset business with its own brand until the calendar turned to 2016. Waiting for the deadline to pass, Nokia sold its highly regarded HERE Maps to a trio of auto makers looking to use them to help them develop self-driving cars. The company bought networking hardware manufacturer Alcatel-Lucent. As a result, it became one of the leaders in 5G technology. And Nokia Technologies owns a vast patent library. Nokia, for its part, isn't interested in rebuilding the same smartphone organization like the one it sold to Microsoft. Instead, Nokia wants to turn over manufacturing and marketing of intelligent handsets to a third party while Nokia contributes the design and brand. CEO Suri says that any new phone needs to feel like a Nokia model. "We don’t want to just put logos on somebody’s devices. 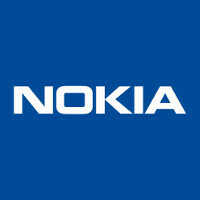 It needs to feel like Nokia, what Nokia was known for," said the CEO. While Suri originally hoped to have a partner in place at the end of last year, that hasn't happened. Yet, the CEO isn't concerned. "We’re not in a hurry," he said. "There doesn’t need to be a rush." The executive says that Nokia designed a ten-year plan back in 2014 designed to keep the company relevant. As to when we will see a new Nokia smartphone, that might not come until 2017. This is the dumbest thing i ever heard. Nobody cares about Microsoft phones right now. And their CEO wants to wait until 2017? GG. I believe you are mistaken. This is talking about Nokia which is still a separate entity from Microsoft. Nokia sold it's hardware division to Microsoft years ago, but the actual Nokia company was not bought out. Now they are trying to rebuild their brand and create new hardware that is separate from the Lumia brand they sold to Microsoft. Nokia does not equal Microsoft, by any chance are you American? Surprise us. Most of us are fed up with phones today almost nothing new. So what are you looking for on a phone? Not android not ios with Nokia camera quality that wow's us. Bring it on Nokia !! We are waiting for you... Show Apple and Samsung how it's done ! Nokia needs to show them both how to go from #1 to existing the business. Only Nokia is this unique position. So does Adolf Hitler, Napoleon Bonaparte, doesn't mean that they weren't better leaders than let's say Obama or Putin. nokia you have some catching up to do..
Oh look a Nokia executive that knows the layout of their new phone division that can already tell Nokia needs to catch up! I would suggest Nokia don't rush, do research and create awsome phones.......come with a big bang! You can do it! We need the old Nokia quality we remember from the early 2000s. I might be one of the first in line to buy a new flagship model from Nokia. The problem was bigger than simply, lets make an Andriod device. They actually went with android first, or looked at it, but they simply did not have the cash to compete and most likely would have went under far sooner. Though its only speculation. MS paid them, so they didn't bleed, then they simply just bought them. In some odd sadistic way, we can thank MS for keeping around as long as they did. Wouldn't be nice if a similar X3 Touch and Type runs Android? Or a basic clamshell phone? I missed the S40 platform especially my favourite 5310 Xpressmusic. Reminds me of Ericsson T28. Back when smaller and slimmer still matters.